The Contemporary Museum of Calligraphy is a part of Sokolniki Exhibition and Convention Centre. Each year, Sokolniki ECC houses more than a hundred of major events — exhibitions, conferences, forums, and political rallies. Among the centre’s clients are renowned Russian and international companies and corporations, as well as government bodies and industry organizations. 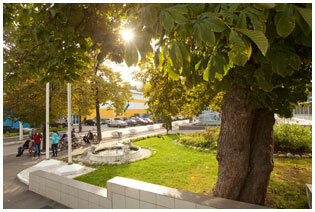 The Contemporary Museum of Calligraphy is located within Sokolniki Park of Culture and Leisure. 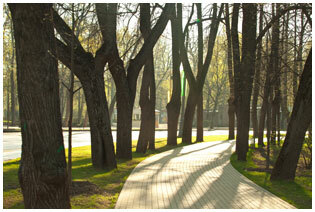 Sokolniki Park is the largest green area in the capital with a countryside feel. It’s the perfect place for walks, leisure and sports. The park provides year-round facilities for leisure — bicycle and roller blade rental stations in summer, a skating rink and ski tracks in winter, and hobby clubs, a sports center, cafes and many other attractions.